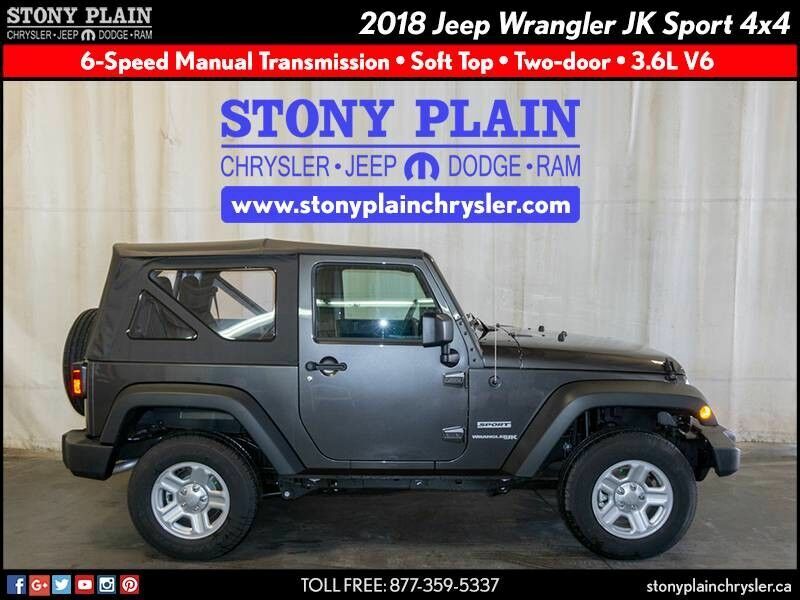 This 2018 Jeep Wrangler JK Sport SUV is offered to you for sale by Stony Plain Chrysler. Want more room? Want more style? This Jeep Wrangler JK is the vehicle for you. This 4WD-equipped vehicle will handle majestically on any terrain and in any weather condition your may find yourself in. The benefits of driving an Four Wheel Drive vehicle, such as this JeepWrangler JK Sport, include superior acceleration, improved steering, and increased traction and stability. The 2018 Jeep exterior is finished in a breathtaking Granite Crystal Metallic, while being complemented by such a gorgeous Black interior. This color combination is stunning and absolutely beautiful!